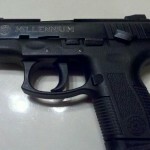 Smith & Wesson is one of the oldest manufacturers of firearms in the United States. They were the first firearms company in the US to secure a patent on the cartridge revolver. One century and a half later, the cartridge revolver still dominates their lineup; most notably their “J-Frame” series. 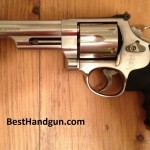 The J-frame is the smallest revolver that Smith & Wesson currently makes. These are typically 5-shot revolvers chambered in 38 Special, 357 Magnum, or 22 long rifle. The barrel length can range anywhere from 1” to 3” in length. Smith & Wesson manufactures these revolvers out of a number of lightweight materials such as aluminum, titanium and scandium. Their predecessors such as the Models 36 and 60 were made from steel. 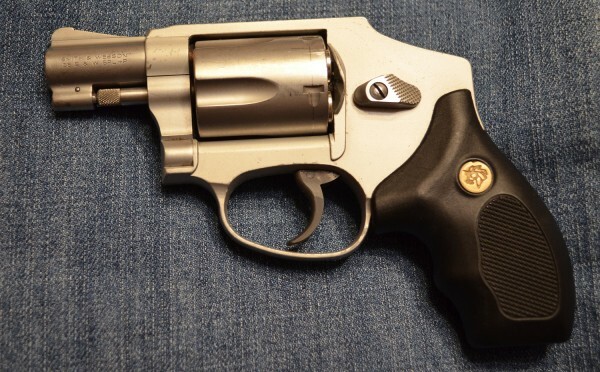 The test gun for this review was a 1 7/8” barreled Model 642, known as the Airweight. 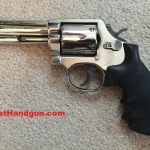 This revolver weighs 15 ounces when empty and as advantageous as that might be for a concealed carry piece, it makes up for by being unpleasant to shoot. 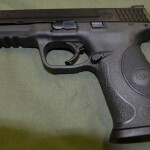 In a lightweight firearm firing a full-powered handgun cartridge for self-protection, the frame does little to absorb recoil so the energy is transferred to the shooter’s hand. Accuracy is fine for the first few strings, but begins to open up after firing 20 rounds in succession. The 642 is perfect for concealed carry and self protection, but it is definitely not a handgun the typical shooter would want to put more than 50 rounds through at a range session. Cool revolver, I am considering purchasing one of these. Thanks for the review! For 20 yrs as a professional I carried a Smith & Wesson Model 36 and it never failed me and I was able to qualify expert consistently with it. what is its best modern replacement? 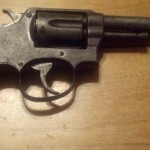 Hi Jim, the S&W Model 36 is still being produced today. The modern version has some revisions vs. the original, which most would term “improvements.” Others may want to comment on that or suggest other models as an alternative to the original 36. Thank you. Are there any other new, comparable of in your opinion better competitors to the Model 36? Thanks. 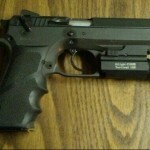 I’m also going to look into some semi-automatics. The only problem with them is that they eject the shells to the right and I’m a left-handed shooter. You might want to check out the Walther P5 – it’s one of the few semi-autos that eject to the left.